The following is the information as seen on the plaque beside the Church of St. Francis of Assisi. 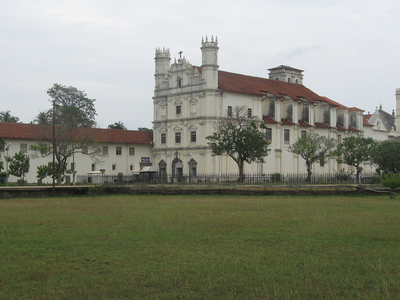 "The three tier facade have octagonal towers on each side and in the central niche there is a statue of St. Michael. The main entrance is decorated with circular pilasters and rosette band. The central nave is barrel-vaulted while the crossing is rib-vaulted which supports the choir. The internal buttress walls, separating the chapels and supporting the gallery on top, have frescoes showing floral designs. Above the tabernacle in the main altar is a large statue of St. Francis of Assisi and Jesus on the cross, statues of St. Peter and St. Paul are seen below. The adjoining walls of nave retain painted panels depicting scenes from the life of St Francis of Assisi." 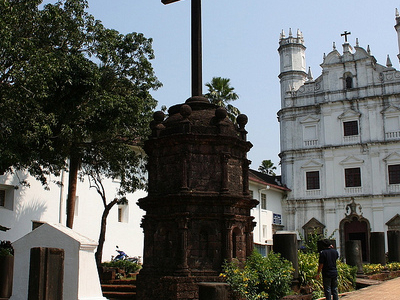 Here's the our members favorite photos of "Churches in Goa". 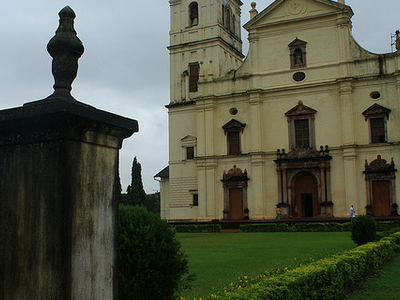 Upload your photo of Church of St. Francis of Assisi! Connect with Ma Ne and Brian Sullivan who have already visited Church of St. Francis of Assisi.